Nth Dimensions Scholars are excellence personified as leaders, scholars & physicians in service for all communities. Eliminating Healthcare Disparities by Diversifying the Healthcare Workforce. Nth Dimensions’ primary objective is to develop the next generation of leaders through our ongoing professional development and mentoring programs. We understand that executive skills must be taught and reinforced over time, and Nth Dimensions has integrated leadership development in eachof our Phase I – IV programs. research projects, presentations and publications at a level of excellence that far surpasses the level of early medical students. Thus it is our contention that with early exposure and the skills, all students can excel as research as researchers and innovators. Our clinical curriculum is implemented in 4 phases. This year, Nth Dimensions has more than doubled the number of Phase I Bioskills programs nationwide from 4 programs to10 bioskills sessions in one academic year. In Phase II, we now have a total of 31 Nth Dimensions Summer Interns (NDSI), now in three specialties: Orthopaedic Surgery, Radiology and Physical Therapy. Next in our Phase III programs, we continue to host approximately 50 medical students at the annual meeting of the American Academy of Orthopaedic Surgery in conjunction with the J. Robert Gladden Orthopaedic Society. Finally, we are proud to announce our first year of offering subspecialty conference scholarships in our Phase IV Resident Development Scholarships thanks to our founding sponsor, Zimmer Biomet. Clinical Correlations Lectures and Hands-on Workshops To increase awareness of the specialty being addressed through surgeon led lectures and hands-on workshops with target groups of minorities and women. These sessions act as a primary point of recruitment meant to expose students to the field early in their medical and undergraduate school matriculation and to inform and recruit students for the Orthopaedic Summer Internship program. 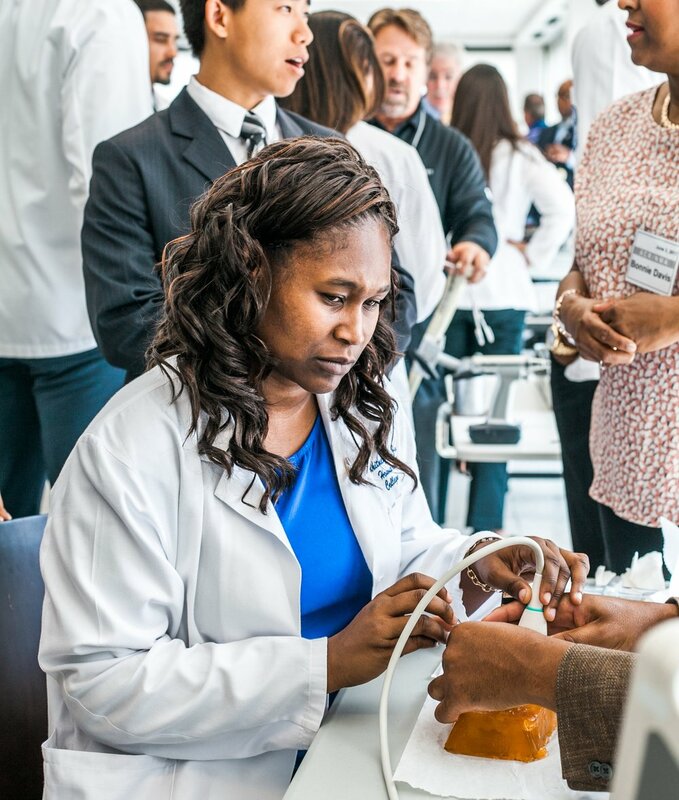 Clinical lectures and sawbones workshops are conducted at Historically Black Colleges and Universities medical schools and at conferences of the Student National Medical Association and the Latino Medical Student Association. Orthopaedic, Radiology, and Physical Therapy internships immerse students in the specialty field through an 8-week clinical and research internship with a practicing researcher. The internship begins with a full-day orientation and culminates in the student presenting his/her research poster at the annual National Medical Association annual Scientific Research Meeting. Following successful completion of the summer internship program, students receive scholarships to participate in a designated Step I board review course, which is conducted throughout their second year in medical school. Upon completion, students will receive an Nth Dimensions Research Certification Award - indication of mastery of a standard research curriculum and set of scholarly activities to ensure competence in research and research-based activities. Preceptors are members of the varying ethnic and gender minority groups who have been specifically selected because of their teaching and mentoring achievements in their respective fields. The students receive core support from their internship preceptor throughout medical school and are encouraged to develop mentoring relationships with additional researchers and residents through interactions and mentoring activities during annual programs. In 2017, Nth Dimensions is excited to offer scholarships to Nth Alumni,who are orthopaedic surgery residents, opportunities to attend sub-specialty surgery courses in their chosen fields. 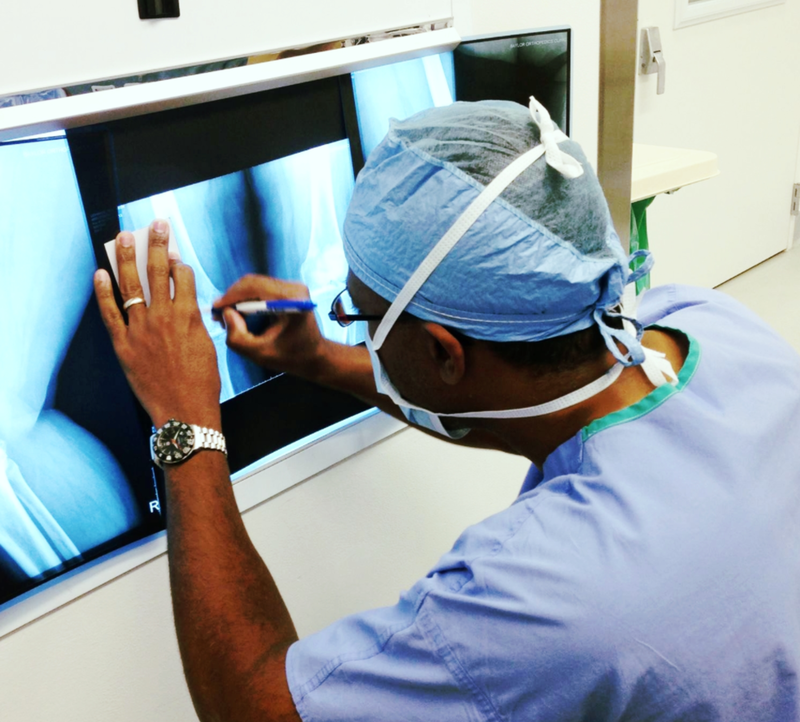 These scholarships will facilitate exposure for residents in areas of orthopaedics early in their training. Scholarships will offset the costs of travel, accommodations and registration for subspeciality courses nationwide. The Nth Dimensions Resident Subspeciality Course Scholarships are an important aspect in the continuum of developmental programming to be offered by Nth Dimensions. This will allow Nth Dimensions to provide ongoing mentoring, academic and mentoring opportunities for our Nth Alumni as they transition through their residency training.